Welcome to the February 26, 2018 edition of ACM TechNews, providing timely information for IT professionals three times a week. Why Developers Vote Python as the Best Application Programming Language? 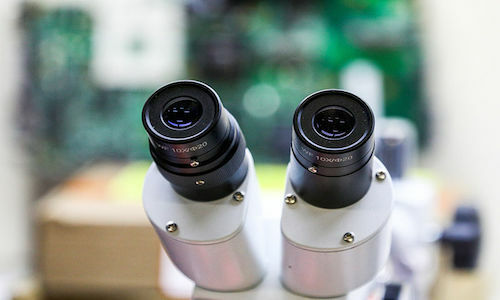 Researchers at the A*STAR Bioinformatics Institute in Singapore have developed a path-following image processing system to enable more accurate and efficient mapping of retinal blood vessels. The algorithm can trace a network from a few marked nodes, and it works well for large-scale networks with millions of nodes even with very few known labels, says A*STAR's Cheng Li. In the study, the researchers explored the use of the Markov chain algorithm to better follow the complex branching networks of retinal blood vessels. The team created an absorbing Markov chain, which "locks in" the traced path up to the current node, and then applies a random walk algorithm to analyze an image for the next blood vessel direction. This method enables the image-processing algorithm to start from a labeled node and trace the blood vessels to form a connected network. 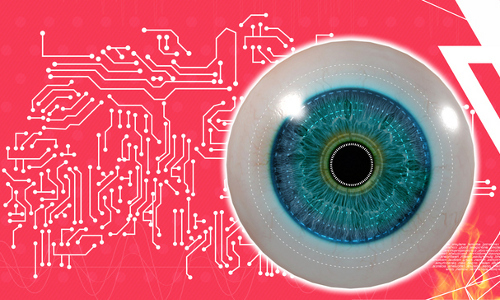 When applied to real retinal images, the algorithm outperformed other state-of-the-art approaches, and matched the accuracy of human tracing. Researchers at the University of British Columbia (UBC) in Canada have developed a practical way to monitor and interpret human motion, a breakthrough that could advance wearable technologies. The researchers started by trying to create an ultra-stretchable sensor, but their efforts turned into a sophisticated interdisciplinary project resulting in a smart wearable device that can sense and understand complex human motion, says UBC professor Homayoun Najjaran. The sensor is made by infusing graphene nano-flakes (GNF) into a rubber-like adhesive pad, and the researchers tested the durability of the sensor by stretching it to see if it could maintain accuracy under strains of up to 350 percent of its original state. "Not only did it maintain its form but more importantly it retained its sensory functionality," Najjaran notes. The team also demonstrated the efficacy of GNF-Pad as a haptic technology in real-time applications by precisely replicating human finger gestures using a three-joint robotic finger. The latest Forbes study estimated the adoption of the Python application programming language has grown 456 percent in the last year, and it is ranked as the fifth most-popular programming language in the TIOBE index. Underlying reasons for the popularity of Python include its ease of understanding and modification, minimal coding requirements, its free and open source nature, and its ability to blend itself with C, C#, Java, and other high-level programming languages. Also contributing to Python's high use among Web developers are its support for third-party software packages and platforms, and its wide-ranging distribution. 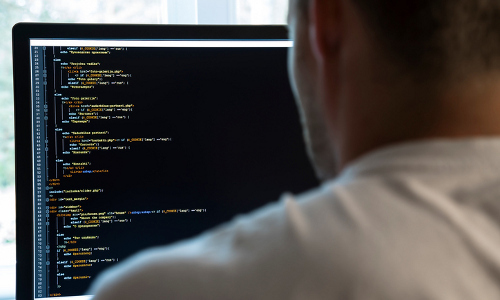 In addition, Python programmers earn an average of $106,000 a year, which makes Python development an attractive career choice for coding enthusiasts. In terms of Python distribution, the language is used by tech giants such as Google, Apple, and Linux, making it a highly reliable language for the present and for years to come. Michigan Gov. Rick Snyder recently unveiled a five-year, $100-million "Marshall Plan for Talent" to reorganize the state's education system to do a better job of preparing students for technology fields that are positioned to have the most job openings. The plan calls for incentivizing school districts and universities to offer more work-based learning programs via state grants and private-sector partnerships. The plan's most tangible objective is ensuring that Michiganders are sufficiently skilled to fill 811,055 forecast statewide job openings through 2024 in information technology and computer science, manufacturing, healthcare, professional trades, and other business services industries. Snyder believes this initiative can serve as a national model for how states should be training students in the digital age, and he envisions greater emphasis on life-long, competency-based learning, with employees having to earn more certificates at different points in their career. 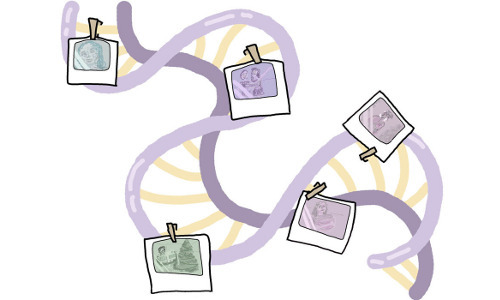 Researchers at the University of Washington (UW) have teamed with Microsoft and Twist Bioscience to encode 10,000 digital images into DNA via the #MemoriesInDNA Project. "The motivation...is that DNA as a storage medium is very dense and very durable," says Microsoft's Karin Strauss. The encoding process starts by assigning the 1s and 0s that comprise the binary code of an image to a specific nucleotide, and then Twist Bioscience produces synthetic strands of DNA based on this code. The company sends back stacks of small test tubes filled with a cloudy mass of DNA that scientists can decode back into the original image. The researchers intend to perform experiments with the DNA memories, with an emphasis on smart image search that functions similar to a hashtag or keyword search. Every encoded image will be provided with additional DNA sequences that correspond directly to a key feature in the image. Researchers at Lawrence Berkeley National Laboratory (Berkeley Lab) have developed a Mixed-Scale Dense Convolution Neural Network, a system that requires fewer parameters and training images when working toward image-recognition technology. 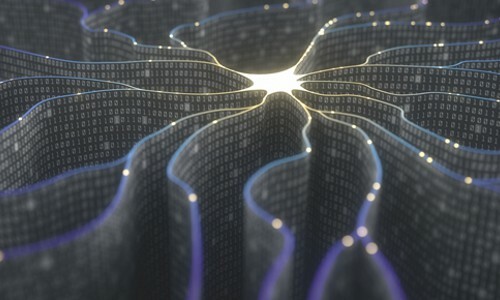 A typical neural network is comprised of layers, each of which performs a specific analysis--one layer informs the next layer, so relevant information must be copied and passed along. Standard practice involves looking at fine-scale information in the early layers and large-scale information in the later layers. However, the new system mixes different scales within each layer, says Berkeley Lab's Daniel Pelt. This means large-scale information is analyzed earlier along with fine-scale information, enabling the algorithm to focus on the relevant fine-grain details. In addition, the layers in the new system are densely connected, meaning information does not have to be copied repeatedly throughout the network, and earlier layers can communicate relevant information directly to layers later in the series. Researchers at Syracuse University say they have used an algorithm to sift through hundreds of thousands of biomedical papers for duplicate images, with plans to license it to journals and research integrity offices. Syracuse's Daniel Acuna and colleagues used the algorithm to mine more than 2.6 million images from 760,000 articles in a subset of the PubMed database. The program zoomed in on the most feature-rich areas to extract a characteristic digital "fingerprint" of each image, and then eliminated features such as arrows or flow-charts, leaving about 2 million images. In comparing images across papers, the algorithm could spot potential duplicates even if they had been rotated, resized, or had their contrast or colors changed. Manual examination of about 3,750 of the flagged images led to predictions that 1.5 percent of the papers in the database contained suspicious images, and that 0.6 percent of the papers had fraudulent images. Researchers at the Chalmers University of Technology in the U.K. say they have manufactured a topological superconductor capable of hosting Majorana fermions. They note the goal is to encode data in a pair of Majorana fermions that are separated in the material, which should render calculations immune to decoherence. The team began with a topological insulator, and then placed a conventional superconducting layer on top. "The superconducting pair of electrons then leak into the topological insulator which also becomes superconducting," says Chalmers professor Thilo Bauch. Initial measurements revealed the insulator only supported standard superconductivity, but when the component was cooled down again to routinely repeat some measurements, the properties of the superconducting electron pairs varied in different directions. "For practical applications the material is mainly of interest to those attempting to build a topological quantum computer," says Chalmers professor Floriana Lombardi. "We ourselves want to explore the new physics that lies hidden in topological superconductors." Texas A&M University professor Robin Murphy thinks robots such those featured in the "Star Wars" movies could have practical communicative applications. "In real life, [roboticist] Robin Read has found that the types of beeps and whistles that facilitate the rebel-droid interaction can be effectively used by real robots in engaging children and adults," Murphy says. On the other hand, she notes spherical robots such as BB-8 have less practical use in terms of navigation, despite how they appear to function in the films. "Anyone who has driven a car on a beach knows how quickly wheels can become buried in the sand and spin in place," Murphy says. She cites the research of other roboticists such as the Georgia Institute of Technology's Dan Goldman, who conducted tests with the Sphero BB-8 toy on sand to see how it performed. Still, Murphy credits "Star Wars" droids for significantly influencing real-world robotics. Researchers at the Georgia Institute of Technology (Georgia Tech) have developed the Real-Time Captcha, a new login authentication approach designed to enhance the security of current biometric methods that rely on video or images of users' faces. The Real-Time Captcha's users must look into their mobile phone's camera while answering a question chosen at random that appears within an onscreen Captcha, and which must be provided in a limited period of time that is too fast for artificial intelligence or machine-learning programs to respond. "We are making the challenge harder by sending users unpredictable requests and limiting the response time to rule out machine interaction," says Georgia Tech's Erkam Uzun. 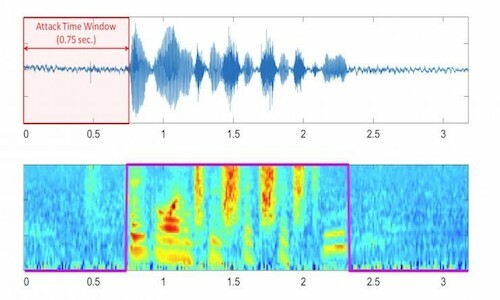 Tests determined people could respond to the challenges in one second or less, while the best machines required between six and 10 seconds to decrypt the question from the Captcha and respond with a counterfeit video and audio. Researchers at Northwestern University are developing stretchable electronics with enough accuracy to be used in advanced medical care and sufficient portability to be worn outside the hospital. They say the sensors adhere directly to the skin, moving with the body and providing health metrics such as heart function, muscle activity, and quality of sleep. 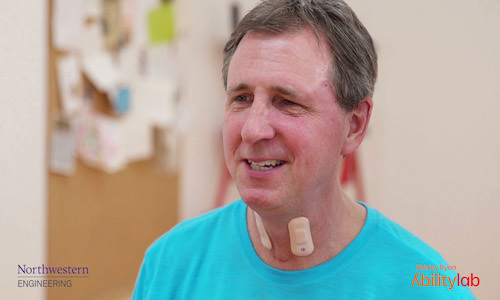 Their latest product is a bandage-like throat sensor that measures swallowing ability and speech patterns, and Northwestern professor John A. Rogers says the sensors can help diagnose and treat aphasia, a communication disorder associated with stroke. He notes the sensors measure vocal cord vibrations, "[b]ut they only work when worn directly on the throat, which is a very sensitive area of the skin. We developed novel materials for this sensor that bend and stretch with the body, minimizing discomfort to patients." The Shirley Ryan AbilityLab research hospital in Chicago uses the sensor in conjunction with electronic biosensors on the legs, arms, and chest to monitor patient recovery. 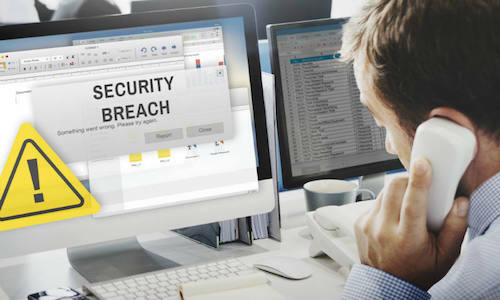 Researchers at the University of Huddersfield in the U.K. have developed Creeper, a new software program designed to protect businesses against a cybersecurity threat known as "permissions creep," which occurs when employees accrue and retain increasing numbers of permissions to gain access to an organization's file systems and directories. Creeper uses machine learning to detect whether an employee's access to files, folders, and apps are consistent with the rest of organization. Many organizations currently identify permissions creep via a manual audit, but Creeper is designed to speed up and secure that process. Huddersfield's Simon Parkinson says Creeper can calculate a benchmark level of what is described as "normal," and is able to look for outliers that do not match that model. In addition, the tool could be used to improve data security practices ahead of the General Data Protection Regulation, which will go into effect in May.